No hours to display. Please contact store for hours. +Get to Know Your Amarillo, TX Kohl's! Your Kohl's Amarillo store, located at 2610 S Soncy Rd, stocks amazing products for you, your family and your home – including apparel,shoes, accessories for women, men and children,home products, small electrics, bedding, luggage and more – and the national brands you love (Nike, Disney, Levi’s, Keurig, KitchenAid). 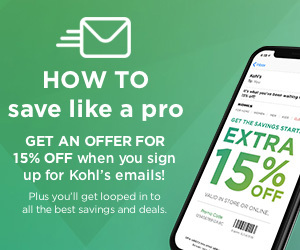 The Kohl's Amarillo store and its associates aim to offer an enjoyable, easy shopping experience and incredible savings to every Kohl’s customer. For your convenience, the Kohl's Amarillo store features Buy Online, Pick-Up in Store (BOPUS). By choosing the BOPUS option, you’ll save on shipping charges and avoid delivery wait times. Learn more about BOPUS. 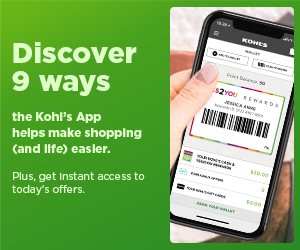 To use the Buy Online, Pick-Up in Store feature, shop Kohls.com to find the products you are interested in and click the “Pick Up In Store” button to see if the product is available at the Kohl's Amarillo location. If available, add the product to your bag and place your order. Once your order is available for pickup, a confirmation email will be sent to you. 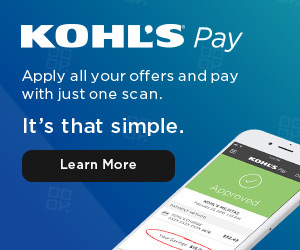 Then, simply bring a valid photo ID and your confirmation email to the Kohl's Amarillo store customer service desk to receive your items.